The School of Communication and Media, n.o. (SKAMBA) is a research establishment founded in Slovakia in 2008. SKAMBA´s mission is to provide high quality in-depth research on issues related to communication and media, as well as courses, seminars and lectures mainly related to the dissemination of research results. It focuses particularly on the areas of mass media communication and the functions and interactions of the media in a liberal democracy. SKAMBA has so far been involved in two major FP7 research projects (MEDIADEM, ANTICORRP) and some medium sized international scientific or educational projects (e.g. EMEDUS, NewMedLit, the deterrence of fraud related to EU funds through investigative journalism in EU-27, and Hungarian Media Laws in Europe). SKAMBA has experts who work for major media in Slovakia. We closely cooperate with the Slovak Section of the Association of European Journalists. It activities are funded by international and local research, educational and dissemination grants. Its organisational structure consits of boar of trustees, director, supervisor and staff. He is senior researcher and coordinator of the research team School of Communication and Media. He lectures on journalism and media schools in Slovakia and abroad. He published on various aspects of media, focusing on the relationship of media and politics. 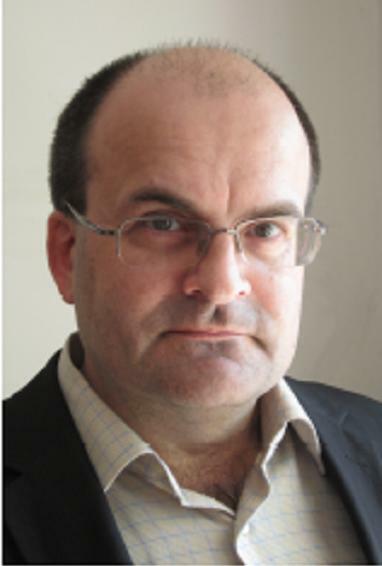 He is the author of Media and Globalisation (School of Communication and Media, Bratislava 2009) and Media Law in Slovakia (Kluwer Law International, The Netherlands 2011). He is currently director of the School of Communication and Media in Bratislava.